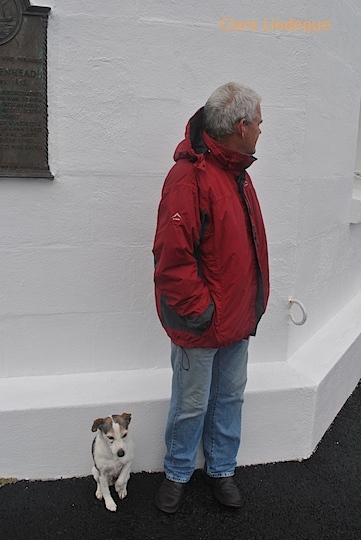 Tony and I visited the lighthouse at Danger Point, the sharp peninsula separating Walker Bay (on which lie Hermanus and De Kelders) from Gansbaai, on a miserable, windy, freezing day. We were pelted by rain and I was unable to take many photographs because of the conditions. 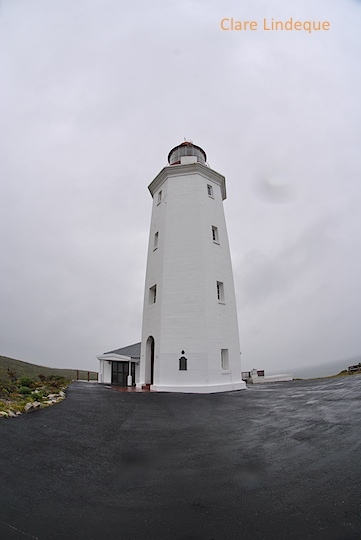 The Danger Point lighthouse was commissioned in 1895, over forty years after the famous and tragic wreck of the HMS Birkenhead on Danger Point. Its tower is 18.3 metres high, with its focal plane (level of the light) 45 metres above sea level. The range of the light is 27 nautical miles. I learned these things from Lighthouses of South Africa, by Gerald Hoberman. 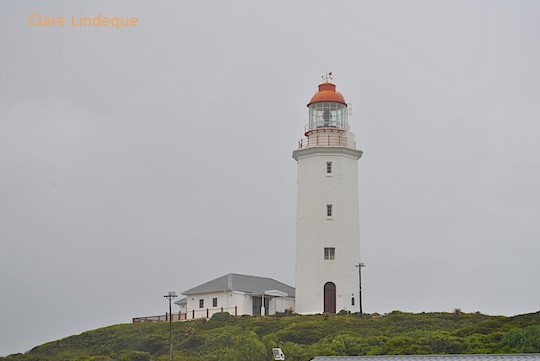 It is open to the public and is a manned lighthouse, but was not open on the day we visited. 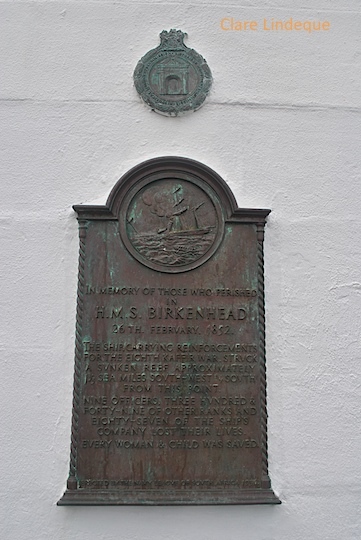 There is a plaque commemorating the loss of the Birkenhead on the wall of the tower, as well as a memorial nearby. This shipwreck was apparently the first one on which the “women and children first” protocol was used, now known as the “Birkenhead drill.” Of the approximately 640 souls on board, 445 perished at sea. 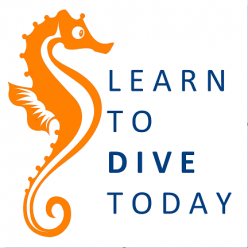 Some of the horses came on shore at De Kelders, at a location known as “Die Stal”, and which is marked by a sign. 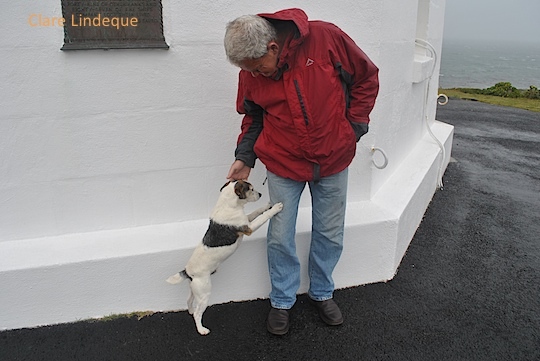 Tony made friends with the lighthouse keeper’s dog as the two of them sheltered from the rain – which felt like buckshot hitting our faces – in the lee of the tower.